Today, Sept. 26, marks the 10th annual Mesothelioma Awareness Day. It’s a perfect time to look back at how advocacy, education, support and generosity have improved the lives of so many people affected by this rare cancer. The mesothelioma community’s persistent drive to bring visibility to this disease has far-reaching effects. Just 30 years ago, treatment options were limited and researchers lacked the funds to make progress that patients desperately needed. Mesothelioma is an aggressive cancer that forms on the lining of the chest, abdomen or heart. Approximately 3,000 cases are diagnosed in the U.S. annually. Exposure to asbestos is the only confirmed cause, which means the disease is entirely preventable. Fundraising events, donations and other advocacy efforts now support funding for research and clinical trials that lead to better treatments and longer life expectancy. As a result, patients today are achieving impressive long-term survival and emerging therapies are bringing hope for the future. Because mesothelioma doesn’t garner the same publicity as more common diseases, such as breast, prostate and lung cancers, much more awareness and funding is needed. As researchers diligently work toward a cure, our best weapon against this cancer is prevention through education. Without awareness and fundraising, research and treatments will remain stagnant. The awareness efforts of several individuals and organizations have not only made a difference in the fight against mesothelioma, but they also have demonstrated the powerful impact mesothelioma awareness can have on this day and throughout the year. Government funding was nonexistent when some of today’s leading experts in mesothelioma treatment were just starting in the field. Luckily, this is no longer the case. Dr. V. Courtney Broaddus, professor of medicine and associate director of the Lung Biology Center at the Hellen Diller Family Comprehensive Cancer Center, and her colleagues were breaking ground in 2003 with monoclonal antibodies, a promising new immunotherapy for mesothelioma. When funding for the project ran dry, a grant containing donations from the mesothelioma community helped them continue their research. That infusion of funds led her team toward identifying more than a dozen special immune cells (antibodies) that may be the key to new targeted therapies with less severe side effects. In 2006, Broaddus joined the mesothelioma community in Washington, D.C., to fight for mesothelioma funding and a national ban on asbestos. The following year, these efforts helped convince Congress to provide mesothelioma-specific funding for the first time in history, opening the door for future progress. 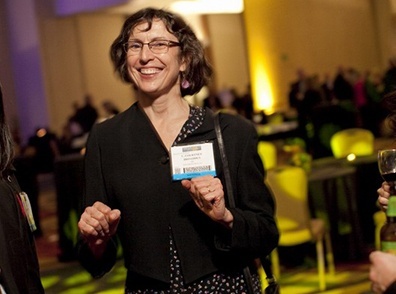 The U.S. Department of Defense (DOD) in 2008 awarded Broaddus the first federal mesothelioma research grant, which contributed $1.36 million toward her research. Other leading mesothelioma specialists, like Dr. Harvey Pass and Dr. Lee Krug, followed suit and won other DOD grants, including a $3 million grant in 2010. One of the hardest challenges Missy Dorsey Bowles ever faced was losing her father, Richard O. Dorsey, to mesothelioma in 2008. But instead of admitting defeat, she chose to work tirelessly to raise awareness and funding, hoping to help other families forever changed by mesothelioma. In honor of her father, Missy coordinated ROD’s Miles for Meso in 2010. The community event raised nearly $15,000 for mesothelioma research with a 5K walk, a charity gospel sing, a silent auction and other fundraising activities. The success of the event and the overwhelming support convinced Missy to make the benefit an annual event. 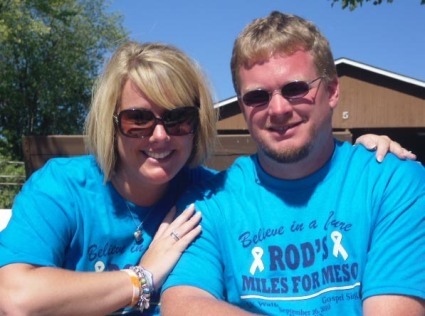 The fourth ROD’s Benefit for Meso took place Sept. 20, 2014, and raised more than $25,000 for research. Together, Missy’s events have raised about $100,000 toward mesothelioma research to date. Mark Wells held the inaugural Kayaking 4 Meso event in 2011 to raise awareness on behalf of his daughter, Linda, who was diagnosed with peritoneal mesothelioma at age 16. Wells and two supporters paddled 16 miles down the Hudson River, a five-hour trek in the name of mesothelioma awareness. Although the annual event had humble beginnings, it quickly gained momentum. The second event brought together 130 kayakers who occasionally paddled against 30 mph wind gusts. That event drew coverage from local radio and television stations and raised more than $12,000 for mesothelioma research. Close to 100 kayakers gathered for the third Kayaking 4 Meso, which generated $10,000. 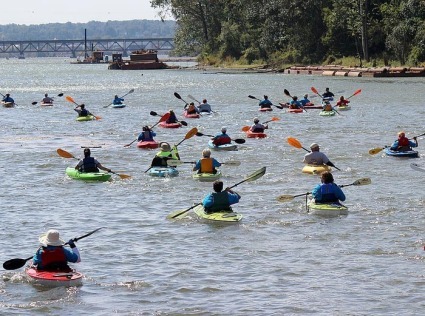 Wells led the fourth event on Sept. 6, 2014, with the support of more than 80 kayakers. Six mesothelioma survivors attended this year, including three who joined Wells in the water. Mesothelioma Awareness Day may only be in its 10th year, but some groups have been supporting the cause for much longer. For example, the Insulators and Asbestos Workers Local 14 is holding its 20th Annual Mesothelioma Golf Outing today. Local 14 members and union workers from around the Philadelphia region will continue the tradition, which involves a shotgun scramble golf tournament, lunch, dinner and prizes. Registration for this year’s event is $225 per golfer, with all proceeds going to Fox Chase Cancer Center. So far, the event has raised more than $2 million toward research to improve mesothelioma treatment. 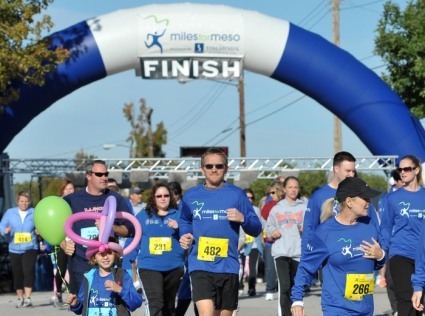 The sixth annual Miles for Meso event, which brings together patients, family members and advocates to advance research and care for mesothelioma patients, will be held Sept. 27 in Alton, Illinois. The inaugural event in 2009 attracted 550 entrants who joined the 5K run and raised more than $50,000. Different locations across the country have hosted the annual event, contributing a total of more than $160,000 toward research to date. This year’s event will continue the tradition with a 5K race and a 2K walk/run to benefit the Asbestos Disease Awareness Organization (ADAO). Singer-songwriter Jordan Zevon, an ADAO spokesperson and son of legendary rock musician Warren Zevon, who lost his battle to mesothelioma in 2003, will perform at the event. There are many ways you can make a difference in the fight against mesothelioma. Every little bit helps, no matter if you’re participating in a fundraising event, donating to improve research, showing support or simply sending a tweet. Donating to charities that benefit mesothelioma research. Attending a mesothelioma fundraising event, or coordinating your own. 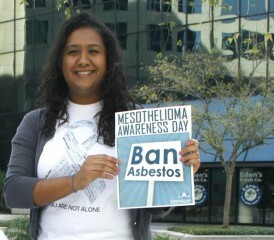 Contacting your local and state government and urging them to officially recognize Mesothelioma Awareness Day. Sharing statistics and facts about mesothelioma on social media, or this video infographic about mesothelioma awareness. Thanks to the dedication of advocacy groups, doctors, researchers and people like you, the mesothelioma community continues the fight to finding a cure for the disease. There’s more ground to cover, so let’s keep making progress.